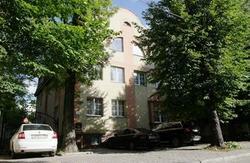 Akteon Lindros Hostel is located in Kaliningrad, in a quiet green area. Free Wi-Fi and free private parking are provided. 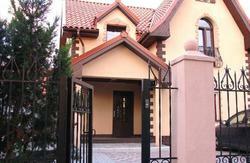 Akteon Lindros offers both private and dormitory rooms. Guests can use a shared bathroom, and ironing facilities and a washing machine are available. The hostel offers a cosy shared living room with a library and table games. Kaliningrad city centre is 4.5 km from the property, and the Zoo is 15 minutes’ walk away. We will glad to see you in our hostel. Kaliningrad Central Station is 5 km away, and the distance to Khrabrovo International airport is 24 km. - Trolley bus number 7, 2, bus number 37 (to the central square).